Super Hot!!! BuyDig has a great deal on Nikon D3300 DX-format DSLR Kit w/ 18-55mm DX VR II & 55-200mm DX VR II Zoom Lenses for only $379. This is #1 Best Seller in DSLR Cameras at Amazon. This is Factory Refurbished with a 90-day Nikon Warranty. 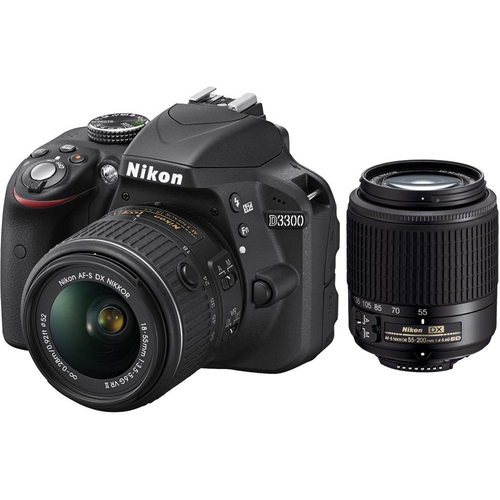 This is the lowest price and the regular price for Nikon D3300 with 18-55mm lens is $496.95 at most US stores. You can also check price at eBay.